It was a real pea-souper. 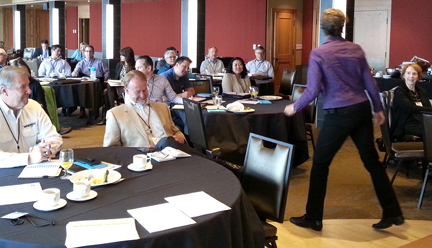 On May 7, I wound my way up Lookout Mountain Road – in thick gray fog – to present my “Nail Your Brand” workshop for the Western Wealth Advisors’ program, called Advisor University. Later that day – after paying my respects at the Buffalo Bill grave – I drove into Colorado Springs just after the city had received EIGHT INCHES of hail. From soup-to-nuts, May 7 was a weird weather day! 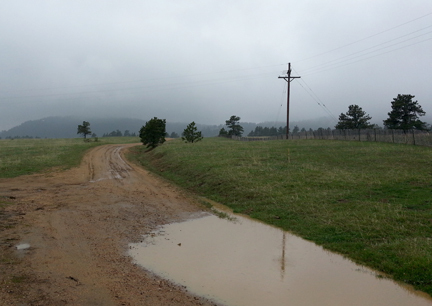 A lonely country road on Lookout Mountain. This was AFTER the fog lifted! 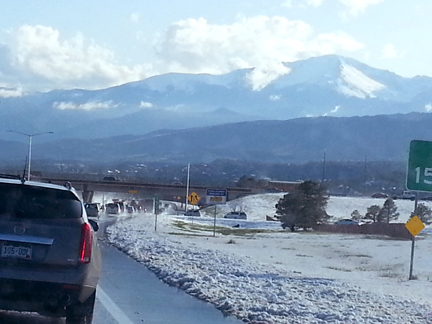 I arrived in Colorado Springs after the snowplows had pushed aside 8 inches of hail and, thankfully, after I-25 had reopened. 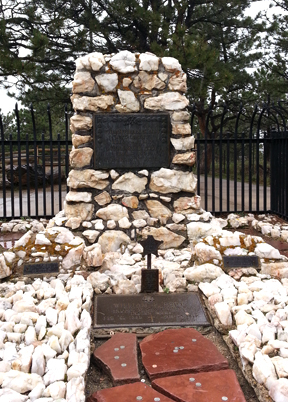 Buffalo Bill’s grave, located at the Buffalo Bill Museum & Grave on Lookout Mountain Road near Golden. A shout-out to CTU’s Marketing Class – Thanks for asking so many great questions! Here’s a quick shout-out to Jerry Fritz, Professor at Colorado Technical University, and his inquisitive class: students in CTU’s Applied Marketing Management course. Presenting to – and chatting with – the students was a really positive experience! We had robust Q&As on each topic I addressed: the marketing team’s top goal in business (lead generation), the roles and responsibilities of a typical marketing team, and how marketing and sales work together to promote and sell products and services. We also talked about Marketing Communications (MarCom) and the types of promotion or “outreach” strategies you can use to “reach out” to your target market (prospects) to entice them to purchase your product or service. MarCom is near-and-dear to my heart, because I was Marketing Communications Manager for much of my 25-year career in high-tech corporate marketing. Throughout my corporate career as a Marketing Communications Manager, I was directly responsible for all strategies, content, design, photography, logistical support, and budgets for a wide range of promotion/outreach activities. Marketing toolkit: brochures, one-sheets, cut-sheets, stationery package, etc. Today, MarCom is essentially what I provide for my solopreneur and small-business clients. Clarifying your brand – My definition of a clear brand is being able to quickly communicate Who you are, What you do, and What they get (the benefits and results your clients receive). Project management with my team to create the marketing toolkit – Typically, this includes a strategic and hardworking website, speaker one-sheet or company brochure, stationery package (including business card and notecard), and social media profiles. Ongoing copywriting and marketing projects – I’m happy to note that many of my clients call me again and again for all types of marketing projects, from press releases and case study articles to website updates and tradeshow ideas. 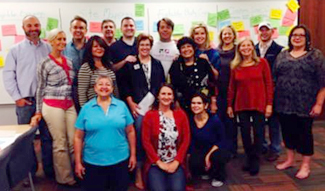 Here’s a big THANK YOU to Heather Lutze and the participants of Heather’s October 2014 Findability Profits Lab. During the 3-day Lab, I presented a half-day workshop on writing strategic, on-target marketing content for websites for solopreneurs and small business. Heather asked me to present on the topic of website copy, since we both know from experience that writing, updating, and optimizing website content can be a sticking point for many solopreneurs and business owners. Unfortunately, this sticking point can slow or even halt progress on their website update. If you’re looking to optimize your website – or “get found” as Heather says – I highly recommend Heather Lutze’s Findability Profits Lab. Here’s a big THANK YOU to the Programming team of NSA/Colorado and the many participants who attended my “Deep Dive” session on October 17. Participants included professional speakers, corporate consultants, business coaches, and other solopreneurs and small business owners. If you’d like to learn more about these topics or your group is looking for a marketing speaker who specializes in branding and marketing for solopreneurs and small business, contact me at Patrice@BrandingAndWebsites.com. 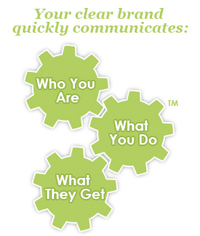 Are your one-sheets, postcards, business cards, website, and other marketing tools mismatched? Embarrassingly out of date? Sporting “homegrown” designs? Does the content communicate the results you deliver – or miss the mark? Many solopreneurs cut corners on their marketing materials, and it shows! Join my 45-minute “Deep Dive Pre-Meeting Session” to learn how to identify your Brand Elements™, which must be consistent throughout your marketing tools. See before-and-after examples. And get a project plan that guides you through the steps to create a one-sheet, website, and other marketing tools that work hard to get you hired! Grab a pen and paper – get ready to take LOTS of notes! 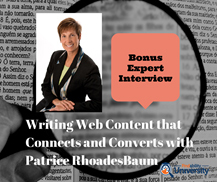 In this webinar, my friend and colleague Heather Lutze, SEO expert and owner of Findability Consulting & Speaking, interviews me on the topic of writing website copy that connects and converts. It’s a lively discussion with oodles of tips, tricks, and hints from us both. We offer guidance for you to write (or edit) website copy that connects with your target audience, is benefit rich, and contributes to search-engine optimization. The goal, as Heather says, is to “get found.” Along the way, there’s lots of laughter and a few myths dispelled! The Author U Extravaganza is designed for authors at all levels, from newbie authors to advanced self-publishers – whether you have books in the works, already published, or looking to relaunch. Publishing pros and writing coaches share the inside track to write, produce, and publish your book – and even position it as a bestseller. In addition, several marketing experts – myself included – will offer volumes of advice throughout the event. The stellar faculty includes Stephanie Barko, Tammy Bleck, Judith Briles, Amy Collins, Joel Comm, Kathi Dunn, Mary Jo Fay, Daniel Hall, John Kremer, Amber Ludwig, Georgia McCabe, Dan Poynter, Steve Replin, Patrice Rhoades-Baum, Bret Ridgway, Penny Sansevieri, Justine Schofield, Joan Stewart, and Nick Zelinger. Are You Fiddling with Social Media while Rome Burns? To view the agenda, see the list of speakers and topics, learn more and register, visit the Author U Extravaganza web page. 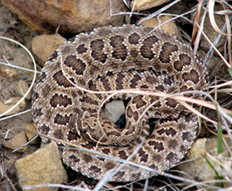 What do rattlesnakes and storytelling have in common? 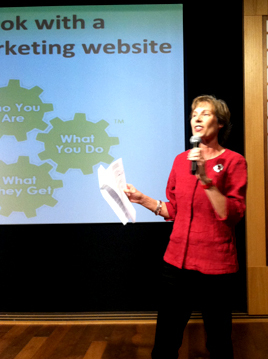 As I present more “Nail Your Brand!” workshops, I continually seek to improve my storytelling abilities. While I don’t roll out a 20-minute signature story, I’m learning how to pepper in quick stories to support a point and perk up my presentation. In one workshop, while supporting a particular point, I mentioned my love of hiking and rock scrambling in Utah in search of rock art and rattlesnakes. It was great fun! A fresh burst of energy! My lesson: Better storytelling = better speaking, better writing, and more fun! Do you present keynotes or workshops? Do you write articles or author books? If you speak, consult, coach or write for a living, storytelling is a great skill to have. Looking to improve your storytelling skills? Check out “Pixar’s 22 Rules of Storytelling – Visualized.” We can all learn from these masters. What’s your favorite, quick story – one that always gets a reaction? Please share it – we’d love to hear it! Imagine one big room with 25 publishing pros, coaches, advisors and marketing experts, including yours truly. Listen. Learn. Ask any question. Whether you are a budding author or experienced self-publisher, attend the Author U Extravaganza May 1-3, and you’ll be in self-publishing heaven! Names you might recognize are Judith Briles, John Kremer, Susan Gilbert, Joan Stewart, Dan Poynter, and over a dozen others who have the inside track to write, produce, and publish your book – and even position it as a bestseller. In addition, several marketing experts – myself included – will offer volumes of free advice throughout the event. 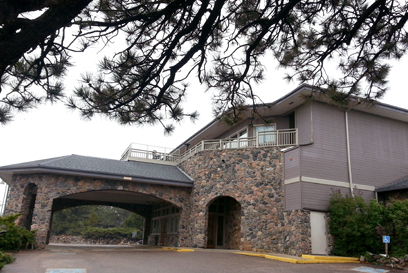 The hotel discount rate of $119 (which includes FREE wi-fi and garage parking) is good through April 9. The number to reserve is 888-421-1442. A “shout-out” to CIPA for hosting a fun day of learning! 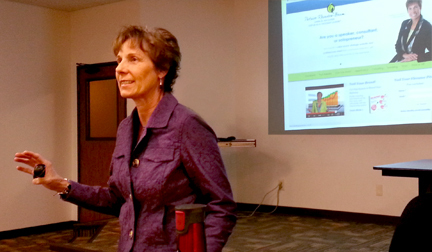 The self-publishing authors who attended Saturday’s CIPA program are a dedicated bunch. In addition to writing and self-publishing their books, these dedicated authors must promote and sell their books. My Saturday workshop (“Sell Your Book With a Hardworking Marketing Website”) offered guidance and tips for these authors. The goal was to help them ensure their website – a vital and strategic marketing tool – will support them on their path to self-publishing success. Thanks to the CIPA members who attended and for their high level of participation. I really had a lot of fun sharing, and I hope everyone who attended enjoyed a fun day of learning, sharing and networking! Publisher, Hugo House Publishers, Ltd.